Launched as a salute to Mona di Orio’s life and work as a perfumer, Rose Etoile de Hollande is the culmination of Mona’s study of a special rose that climbed the walls of Maison Sainte Blanche in Cabris, France. And like her other layered and yet legible perfumes, Rose Etoile de Hollande is no ordinary rose: powdery and spicy, with a round, lush white peach note lifted by aldehydes, and sprinkled with clove. To put it succinctly, Rose Etoile de Hollande is mesmerizing. Additional notes include bergamot, geranium, vanilla, benzoin, amber and Peru balsam. 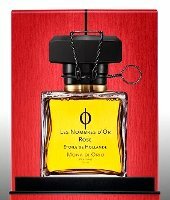 Mona di Orio Rose Etoile de Hollande will be available in 100 ml. I am so excited about this new release! “Innocent, yet joyously carnal”… I love the way that sounds and just can’t wait to try it. I wonder if Mona had worked on it before her untimely passing? Yes, on FB they say it is something she’d been working on. I’m so happy to see this! I’m a big rose fan, and this sounds perfect. I would love to add one of her fragrances to my collection, since I’ll always regret not buying a bottle of Chamaree when I had the chance. I think I’m the only that is immune to this line — I haven’t loved any of them. Just as well as they’re spendy. Cannot wait to build my MONA ccatalogue up, one of my top five perfumes ever is the Lea Nombres Vanille.